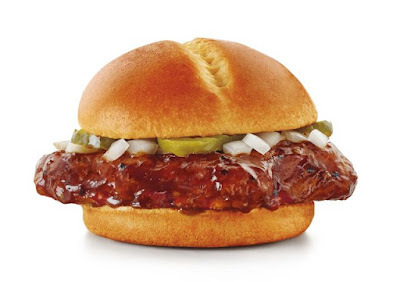 Sonic adds variety to their premium chicken sandwich by dipping the filet in one of three sauces and calling it the new "Dunked Ultimate Chicken Sandwich." The crispy chicken fillet of the sandwich can be "dunked" in either sweet and smoky Bourbon BBQ, spicy Buffalo, or Garlic Parmesan sauce and is served on the same warm brioche bun as the original. Additionally, the Bourbon BBQ comes topped with diced onions and pickles, the Buffalo comes with mayo and jalapenos, and the Garlic Parmesan sandwich comes with lettuce. All three versions of the Dunked Ultimate Chicken Sandwich is available for a limited time only at participating locations.